It’s that time of the year for cleaning out the bird houses. It’s always interesting to see what you find inside. This one in the photograph had 2 nests, one on top of the other. You can see the 2 distinct colors of the nesting materials. 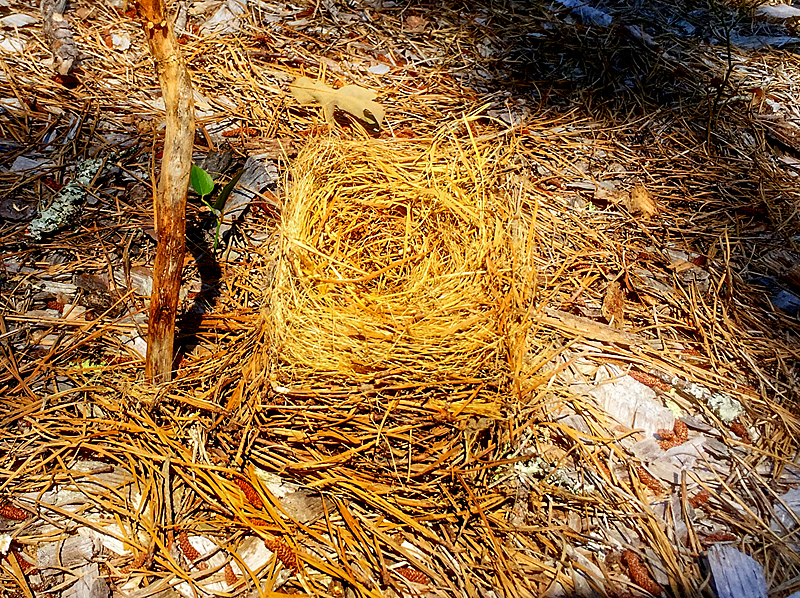 You can also see how tall the nests were, at least 6″ tall! I can’t believe they could fit 2-3 babies and the parents inside!There were Bluebirds for both clutches inside that house. 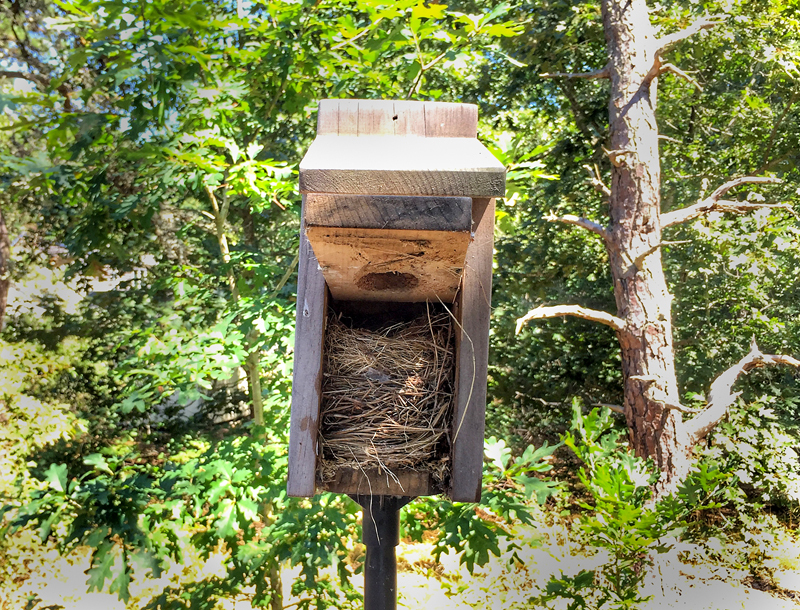 When we opened up one of the other birdhouses, it was very sad. You could see that there were also 2 clutches born. The eggs on the earlier one in July did not hatch. There were 5 little eggs still there. And then the Bluebirds build another nest on top of that one so the eggs were still inside. Oh well… I wonder why they didn’t hatch? The 2 other birdhouses had one family in each. It’s amazing the stories that each birdhouse tell. 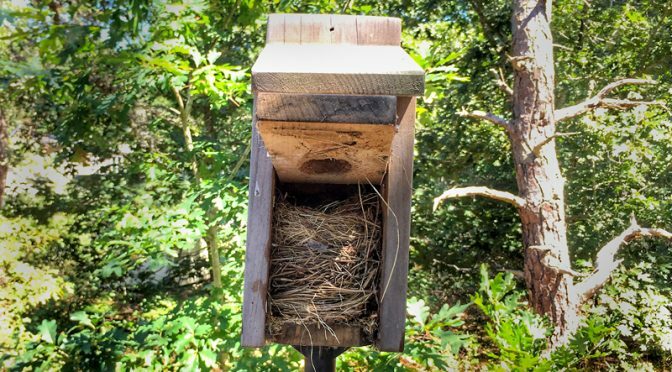 Have you cleaned out your birdhouses yet? Previous PostYellow Mouse-Ear Hawkweed Wildflowers On Cape CodNext PostIt’s Low Tide At Rock Harbor On Cape Cod! I wonder if the birds built the second nest because the first eggs didn’t hatch. Nature: “Nonetheless they persisted”!